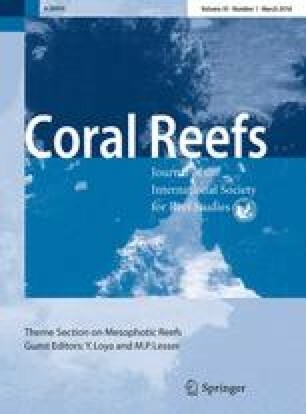 Whether mesophotic reefs will behave as refugia for corals threatened by global climate change and coastal development depends on vertical exchange of larvae between diverse habitats. Here we use a biophysical model of larval dispersal to estimate vertical connectivity of a broadcasting (Orbicella faveolata) and a brooding (Porites astreoides) species of coral in the US Virgin Islands. Modeling predicts subsidy to shallow areas by mesophotic larvae of both species based on local hydrology, adult reproductive characteristics, larval traits, and a wide range of scenarios developed to test depth-sensitive factors, such as fertilization rates and post-settlement survivorship. In extreme model scenarios of reduced fertilization and post-settlement survivorship of mesophotic larvae, 1–10 % local mesophotic subsidy to shallow recruitment is predicted for both species, which are demographically significant. Although direct vertical connectivity is higher for the broadcaster, the brooder demonstrates higher local multigenerational vertical connectivity, which suggests that local P. astreoides populations are more resilient than those of O. faveolata, and corroborates field studies. As shallow habitat degrades, mesophotic–shallow subsidy is predicted to increase for both species. 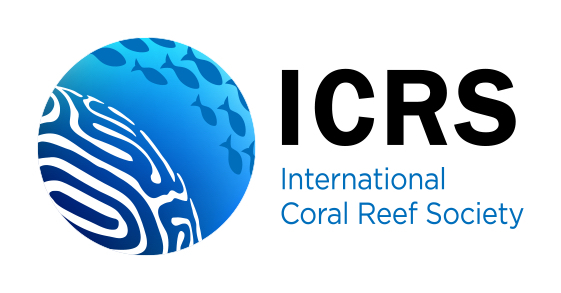 This study is the first of its kind to simulate larval dispersal and settlement between habitats of different depths, and these findings have local, regional, and global implications for predicting and managing coral reef persistence in a changing climate. The online version of this article (doi: 10.1007/s00338-015-1339-2) contains supplementary material, which is available to authorized users. Research was supported by the National Science Foundation (NSF OCE-0928423 to CBP), Natural Environment Research Council (Exeter University partially supported DMH, under subcontract to CBP) and NOAA (NOAA-Pulley Ridge to CBP supported ACV).